Wildflowers near the cabin area at the Cove Palisades State Park. The hills and the cliffs of the Cove have come alive with color! Weeks ago, springtime took its paintbrush and splattered the landscape with yellows, purples, reds, and pinks, creating a mosaic of vibrant eye-candy for the world to see! 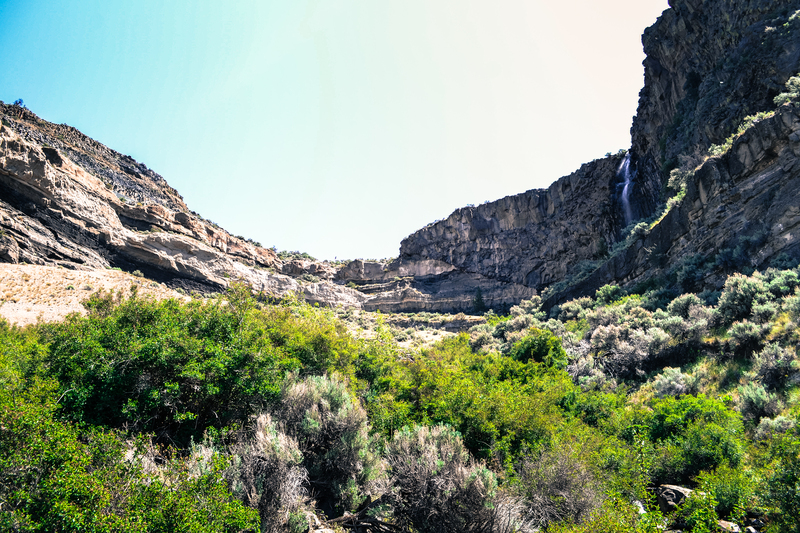 If you haven’t had a chance to visit the Cove in the late Spring and early Summer, you should take the time to come visit the park (take a hike or stay the night), as the Tam-a-lau trail and our Day Use areas are perfect places for wildflower viewing in the high desert of Oregon. 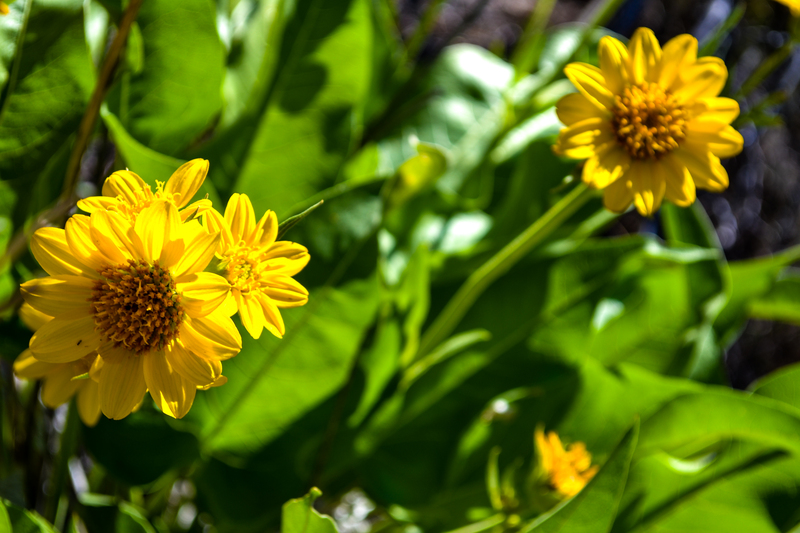 Balsamroot splatters the hillsides of the Cove in the Springtime. 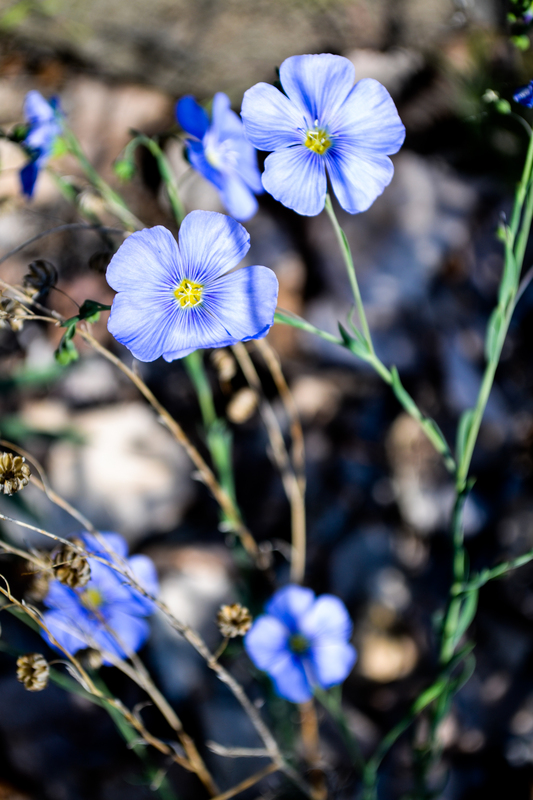 In the spirit of these lively hues, you can read on to learn about common wildflowers in the park and the interesting facts they characterize. Most of the flora in the park not only serve the purpose of being fancy to look at, but contain properties that were used by early indigenous people to clean and maintain wellness. With petals are usually violet or cream colored in the park, the Hanging-pod locoweed is a delicate looking flower. Though nice looking, it is actually very toxic to livestock and can be to humans. Locoweed is the Spanish word for “Crazy”; a good descriptor for the aggressive and stumbling behavior that grazing animals will experience after digesting. Surprisingly, the toxins in this plant can be used in human medicine. 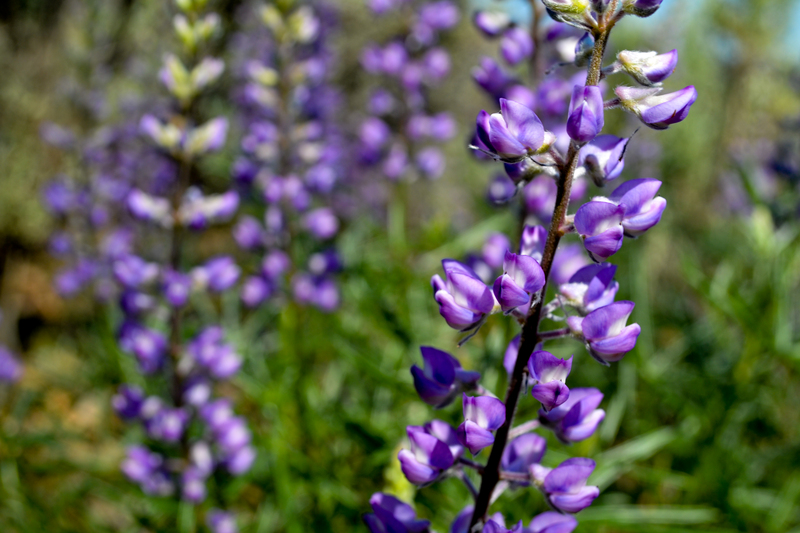 Just as the botulism toxin (botox) has been applied to treat wrinkles and to cure migraines, some studies suggest that swainsonine (the toxin in Locoweed) may have useful application in fighting cancer. 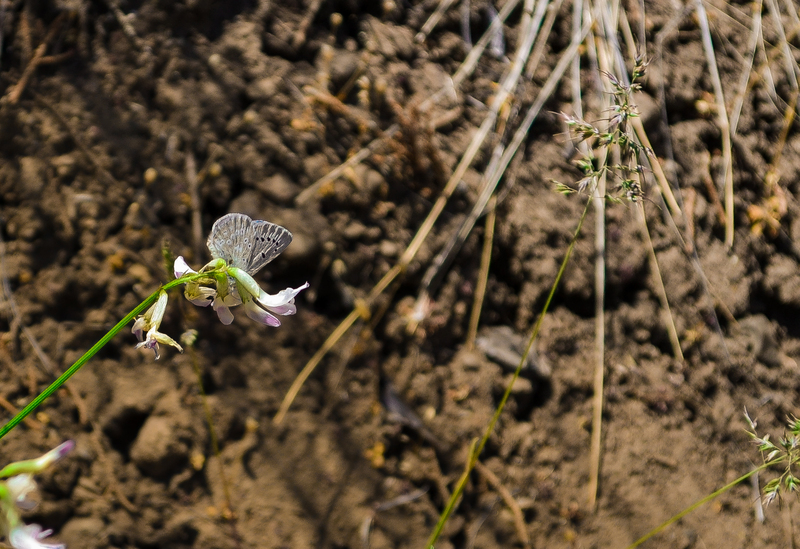 Although toxic to most animals, the Hanging-pod loco weed attracts this sweet, little pollinator: the Melissa Blue butterfly. The bright, sunny faces of these plants splash almost every inch of the Cove come mid to late Spring. The roots, stems, and leaves were boiled by early settlers in the area, and drank for the decoction for stomach pains and headaches. The ripe seeds were pounded into flour, as they are oil-rich and full of nutrients. The flower was also mashed and applied to the skin to heal wounds, burns, and cure eczema. The root also contains anti-fungal properties, and when added to hot water can be used to ease the pain of a sore throat. I would say this is the Cove’s power plant, wouldn’t you? 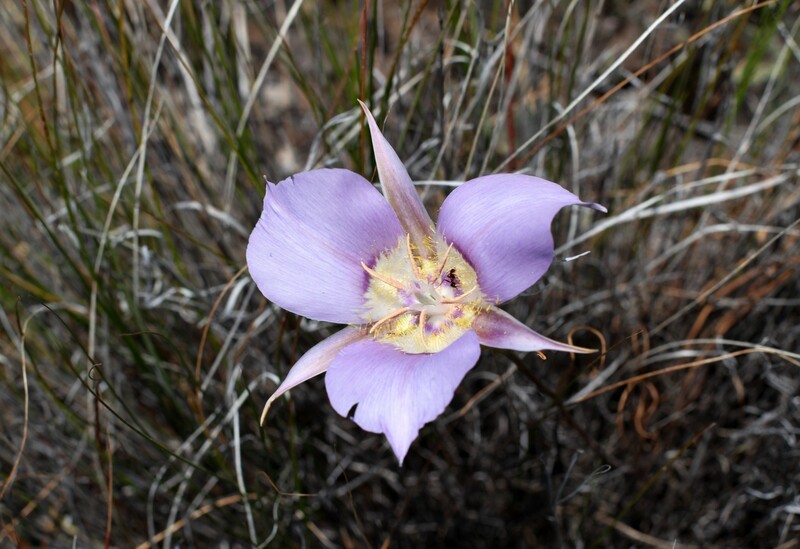 Certain species of the Mariposa Lily are considered endangered due to over- collection. It is irregularly distributed, sometimes making it a surprise for hikers to stumble upon in unexpected areas. The juice of the lily petals were crushed and used to help clear acne, and the plant is used in modern day medicine to help cure addictions to tobacco and sweets. Beautiful wildflowers in the Cove Palisades State Park. 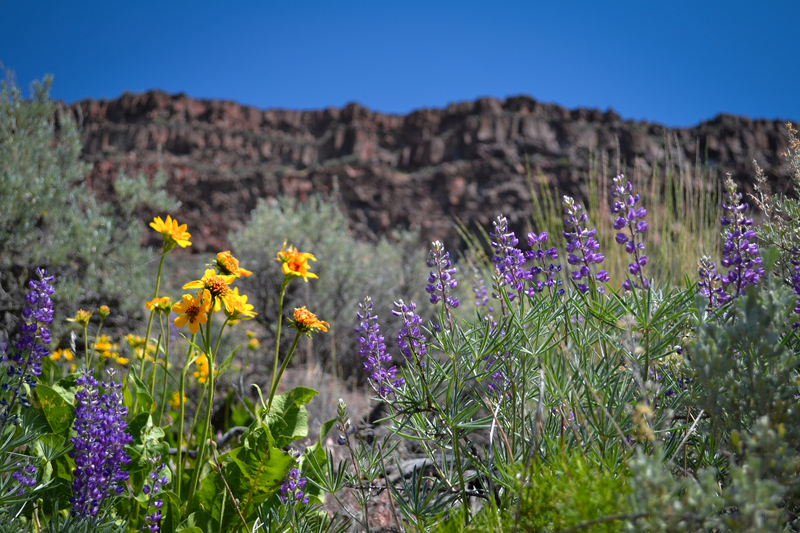 Want to learn even more about Oregon’s high desert flora? 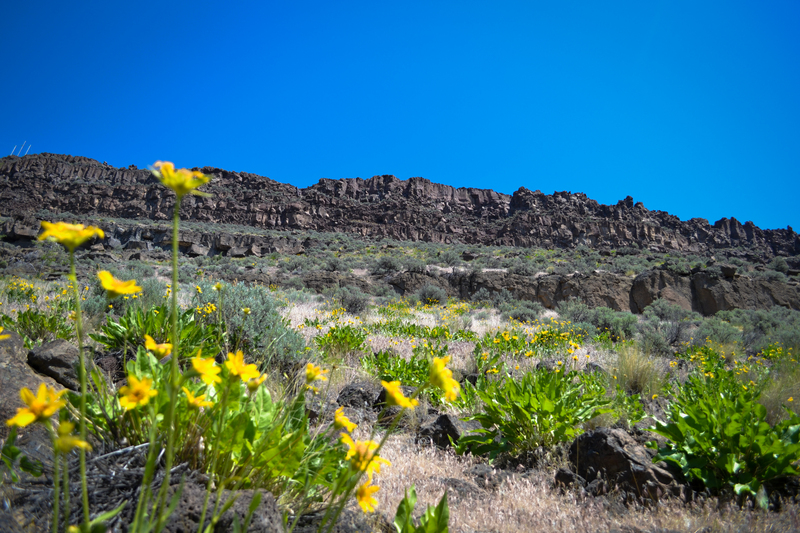 Pick up a copy of the stellar book Sagebrush Country: A Wildflower Sanctuary or join us for our first wildflower hike of the season: A three-hour hike up the Tam-a-lau trail at 3pm on Friday, May 24th at the Deschutes Amphitheater. Contact Ranger Talia at 541-546-3412 for more details.